Protect and display signs, announcements and more. Pre-drilled holes make wall mounting easy. Take advantage of empty wall space saving valuable counter space. Quickly change out inserts without removing sign holder from the wall. Value priced wall mount sign holder. Protect and display signs, announcements and more. Take advantage of empty wall space and save valuable counter space. 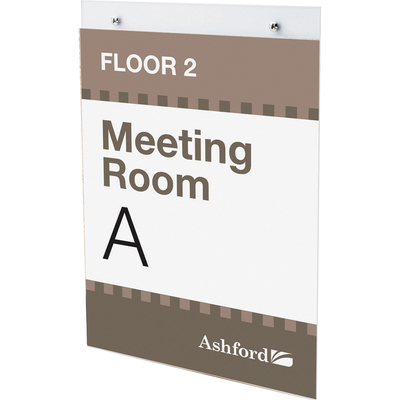 Top-loading styrene plastic sign holders have pre-drilled holes to make wall mounting easy. Quickly change out inserts without removing them from the wall. Compatible with deflecto® free online SignCreator® software.